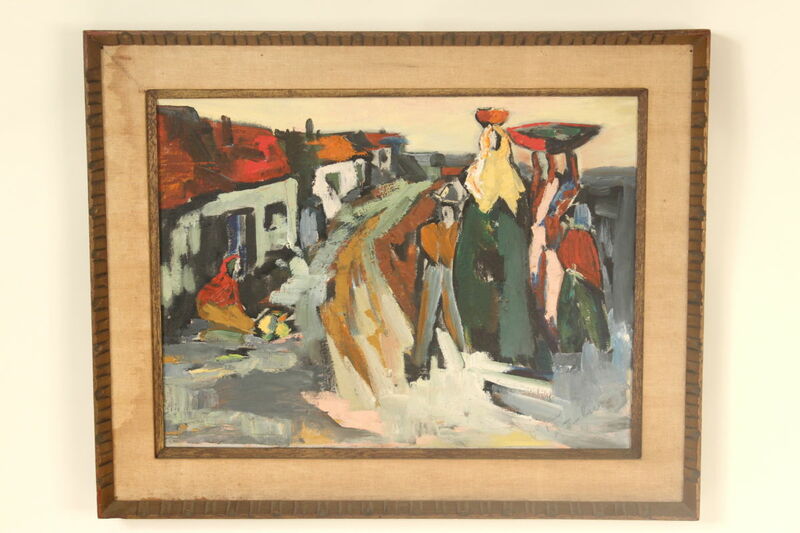 Colorful abstract painting by Joyce Stember, mid 20th century. Oil on canvas. Frame dimensions, height 24″ width 30″. Dimensions of painting, height 18″ width 23.5″.